Israel’s degenerate society: sounds like what we have here in US. Any common factors? This woman is lying thru her note cards. Every single thing that she says is a lie. Plus, she has the ugliest face, screwed up in hate, that I have ever had to look at. She is a shrew. How can people be that stupid? Israel? PLEASE. If it were not for Israel, we would not be broke, and we would still have our Towers. BTW, the biggest reason to Americans as to why they should notice that Israel is our enemy is that the Israelis took down our Towers, bankrupted us, and are running us into the ground. They are owning the media, the congress, and the executive. They are ruining the morals of this nation, as well. This woman better start apologising to the world, if she is going to lie like this. She doesn’t care what I think about her?? Then she should shut her stupid mouth, and quit thinking that her lies are worth listening to. This woman is completely off her rocker. I have Mark Twain’s writings but never read anywhere that he travelled through the areas called Palestine or Israel. He visited Europe as a freelance correspondent and later on when back in the U. S. A., when asked by a jewish lawyer his opinions about why the jews were not liked in Europe, he answered quite fairly to my opinion. You may read in his Essays: Concerning Jews. #4 – Humanitarian Grounds. Israel has the right to exist on Humanitarian Grounds? #6 – It is a Roadblock to Terrorism. #7 – God said so. Aside from the fact that Ms Kaufman shouts throughout the video, her seven points are – for the most part – the type of pointless pap that one hears the Zionists spout, ad nauseum, until the believe they have won their argument by virtue of having either shouted you into submission or of having simply overwhelmed you with the sheer volume of those engaged in the attack against you (literally an attack – they do not argue or debate – they attack, sometimes physically – and then they blame God). In this case, as I’ve seen and heard (and read) before, Kaufman presents essentially the same theme – with slight variations – that have been offered before, though there are three that are worth highlighting for those who have never been fully subjected to the propaganda machine of the Zionist organ. Her fourth point sticks out a bit: we should support Israel based on the ‘Humanitarian Grounds’. Yes – you read correctly – Humanitarian and Israel in the same sentence … I know, it sounds sort of like Pedophilia Day-Care Centre – just what mom and dad were looking for, right? The idea is that Israel must exist because otherwise someone will try to exterminate the Jews (again). Okay, that’s fine …. is that why the Israeli’s are trying to exterminate the Palestinians? Oh – sorry … they’re not part of the equation, I forgot. Then there’s number 6: Israel is a roadblock to terrorism. No, seriously – stop laughing. STOP! Of course, she had to say that the U.S. is not presently prepared to ‘use’ the opportunities to prevent even more terroristic acts – but, she’s full of crap; given the recent captures of key terrorist figures and the ongoing debriefing of the Christmas day bomber, the present administration is at least as engaged in anti-terrorist activities as the three previous administrations. Fool. The final reason that we should be supporting Israel is also the same reason that anyone with faith should be supporting the Palestinians: because God said so. She referred to Genesis, but she did not refer to the disobedience that the Children of Israel fell into when they arrived at the Holy Land and completely and utterly ignored the commands of the LORD. No, that is conveniently ignored. The Children of Israel were given specific instructions before taking possession of the land and they decided instead to do their own thing – as usual – believing that their way was better than that of the LORD. Their disobedience was met with consequences – one of which being the LOSS of the land. Now they MUST share the land with whom they made a covenant – there is no second chance at genocide. 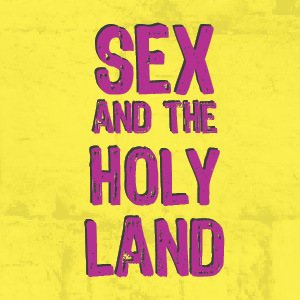 Now they must accept that the ‘Holy Land’ is something that will only be realized after the revelation of Moshiach – having eyes to see and not seeing, having ears to hear and not hearing … gosh, I wonder why that could have been written. Is it any wonder that Jerusalem has been called a ‘cup of trembling’? It would probably be more beneficial to come up with seven reasons why we should be supporting the Palestinians and be opposed to Zionism.